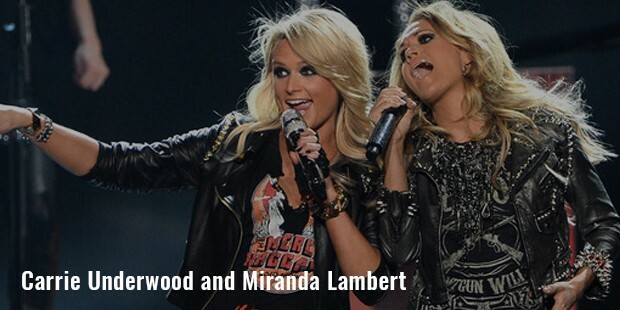 Miranda Lambert is an American Country music artist. She shot to fame with Nashville Star. She made her debut with the album “Me and Charlie Talking.” The single “Kerosene” from this album was certified platinum in U.S. Also the songs from this album were Top 40 on Billboard Hot Country Songs. She was late transferred to Columbia Records where she recorded her second album “Crazy Ex-Girlfriend.” All her five albums have topped the U.S charts. She has also been honored by the Grammy Awards, Academy of Country Music Awards and Country Music Association Awards. Miranda Leigh Lambert was born in Longview, Texas on 10 November, 1983. She was born to Rick Lambert and Beverly Lambert and has an Irish and Native American ancestry. 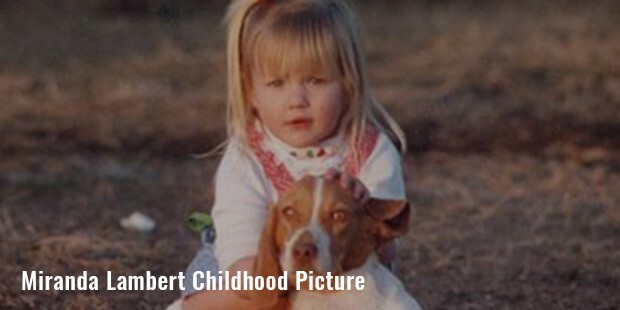 She loved country music even as a child. At the age of 16 she participated in a talent hunt show but later quit the studio recording after she got frustrated with the pop type music. She moved back to Texas and asked her father to teach guitar as she wanted to write songs of her own. Lambert made her singing debut with “The Texas Pride Band.” She participated in Johnnie High Country Music Revue and acquired a recording session in Nashville. In 2002, Lambert met entertainment attorney Rod Phelps, who was amazed with Lambert’s performance and sent her demos to producers. She then returned to Texas after a positive response from the producers. She auditioned for “Nashville Star” and shot to fame after finishing third in the competition. Her debut album “Me and Charlie Talking” was released in 2004 and was an instant hit. Lambert’s second album “Crazy Ex-Girlfriend” released in 2007. The track “Gunpowder & Lead” was the highest charting single. She released her third album “Revolution” in 2009. She co-wrote 11 tracks of the album. With the success of her albums, she started to appear in ads and became the new face of “The Touch, The Feel of Cotton” campaign. She sang “Dead Flowers” at the 44th annual Academy of Country Music Awards in 2009. The album “Revolution” was a universal acclaim and won accolades. Lambert acted in a legal drama “Law & Order: Special Victims Unit” in 2012. 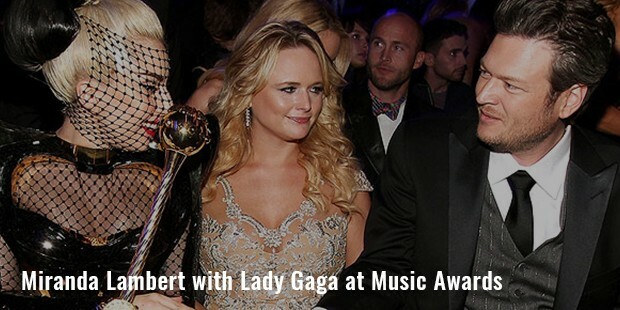 Lambert won the Cover girl “Fresh Face of Country Music Award” at the 40th Annual Academy of Country Music Awards in Las Vegas. Lambert hit the top charts with her first album “Me and Charlie Talking.” She toured with Keith Urban and George Strait in 2006. 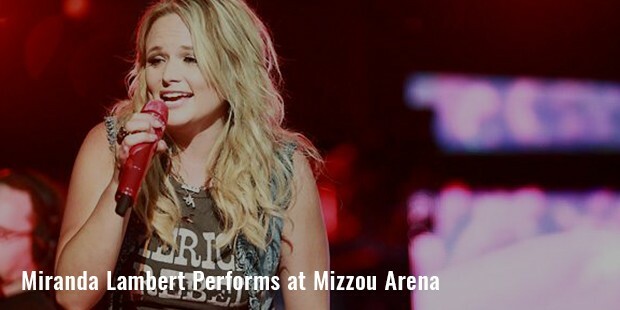 In 2007 she toured with Dierks Bentley and Toby Keith. 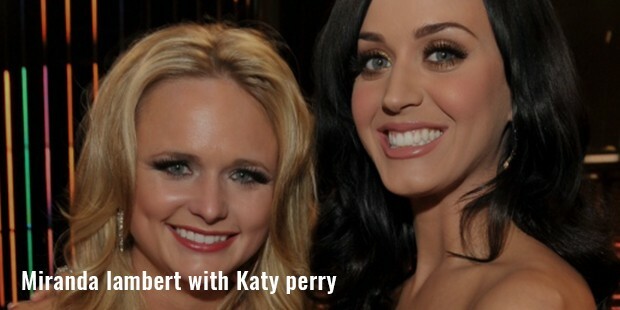 Lambert began dating Blake Shelton in 2006. She sang backing vocals Shelton’s song “Home” in 2008. 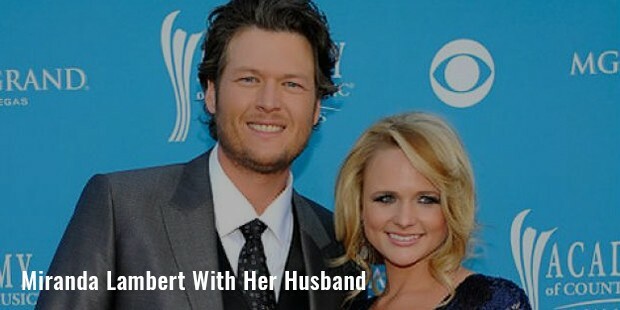 They worked together on “Startin’ Fires” and “Revolution.” In 2010 they got engaged and married in 2011. After four years of marriage they confirmed to divorcing in 2015.